The new wiki is at beta.smoothieware.org, will be activated next week hopefully. Note this page is a work in progress and the jogger functionality is not yet released in smoothieware. Jogger is a module for SmoothieBoard which adds the ability to move your machine around: a process referred to as "jogging". This module is different from most jogging tools in that it accepts input from a joystick. This means your machine will move smoothly in the direction of the joystick, rather than take a small step in a certain direction each time a button in pressed. You will need some kind of joystick-like device that the Jogger module will use to tell your steppers where to go. See the joystick page for information on how to set up an analog joystick. Once you have the joystick modules set up, you will need to know the module names of the joystick axes you want to link to the jogger. 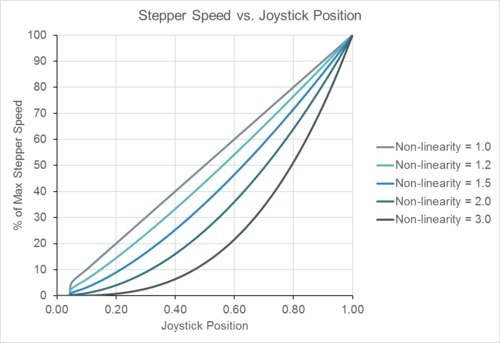 Image and description of how the joystick position is mapped to a speed. 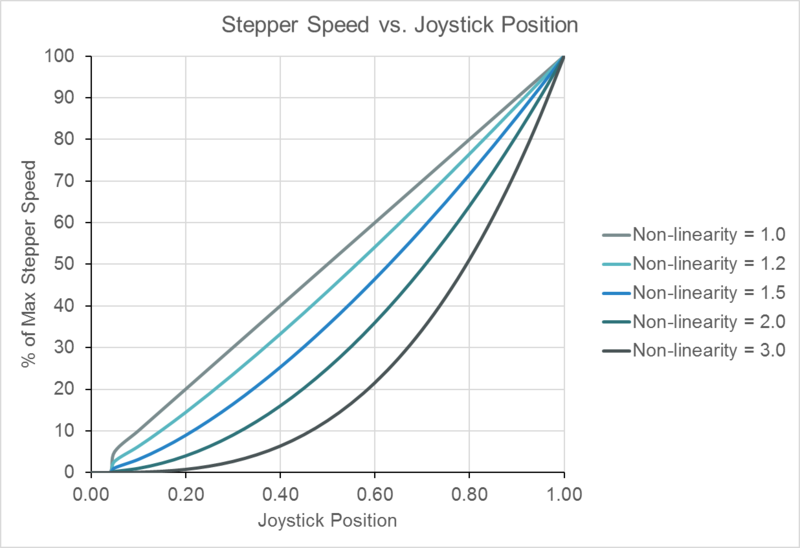 Link to Jogger developer doc page which gives info on how to interface with a joystick module or change the # of jog axes.